I'm trying to get something resembing Al Pacino but I feel like I'm getting nowhere and still far from what I'd like. I'm trying to get the rough base shape set before even starting to consider detailing. I'm at a point where I'm just randomly moving things trying to get it to look closer without much luck, usually it just ends up being more off than it already is. I'd greatly appreciate some tips, I feel like the eyes and lips are giving me the most trouble, I just can't understand them quite well enough. I'm kind of trying to get a Scarface-era pacino, but my references range from a young one to a quite old Pacino with very different fovs, so as I attempt to move the ears/corner of the jaw/eye to one refernce, it'll seem way off in another. 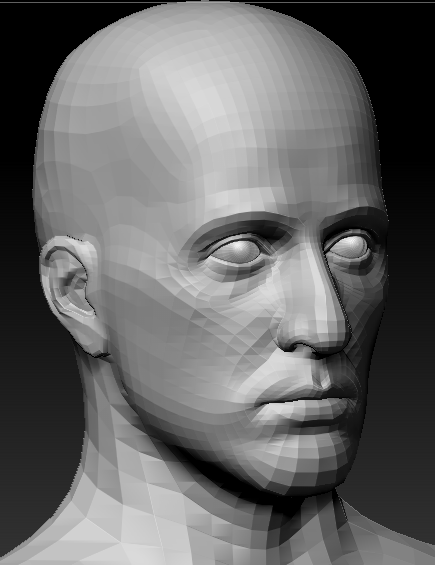 I'm still a bit scared of breaking symmetry much since I feel like the underlying shape is still too much off. I'd love to know if there are some big issues I'm overlooking, if everything I'm doing is way off anatomically perhaps etc. You're on the right track, but you need to loose the texture /hair and use the basic material so you can move the intetactive light around and evaluate the forms properly. 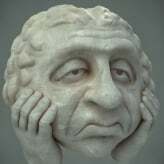 You can't properly study and sculpt the forms if you're distracting yourself with the hair/texture. That stuff is superficial and comes much later. As it is you're fooling yourself into a likeness with these distractions until you have the forms/silhouette nailed. Also, drop the res down to a lower level. 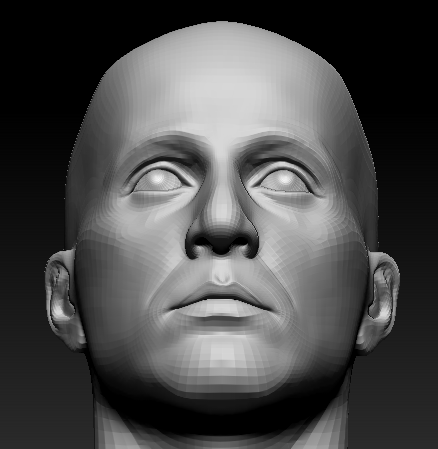 A good rule is that you should be able to achieve the likeness with around 30k or so res. If it's not starting to look like the person at that primary form level then it won't at higher levels. Also, matching up to photos like that can sometimes throw you off as the perspective isn't matched. Try and get as many photos as you can from different angles so you can see all the silhouette breaks. You're getting there though. Straight off I can see some obvious tweaking of forms on the eyes/nose/mouth. Maybe take a break and come back with fresh eyes in a day or 2 as we often drive ourselves mad staring and obsessing over work for hours on end. Fresh eyes might help here. Why would you like to make a likeness of him ? 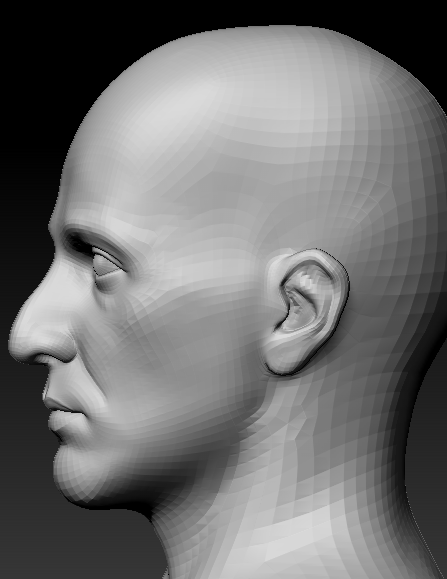 Do you have other head sculpts ? Wow, @Musashidan, thanks a lot. Very helpful comment. I greatly appreciate the tips! I didn't realize how troublesome simple textures and hair were. I removed those and simplified the mesh from 16k polys to 4k. I'm mainly changing/moving things on the first 4k subdiv (16k was the first subdiv originally) I feel like that helped a lot. I'm still far away from it looking decent but I can't believe how far off I was originally. It was a bulbous monstrosity. Apologies for my weirdly/badly worded English. carvuliero, I'm not sure it's a good reason but I find his face interesting and wanted to attempt to create him for a Unreal Engine scene I'm using to practice shaders and lighting on. 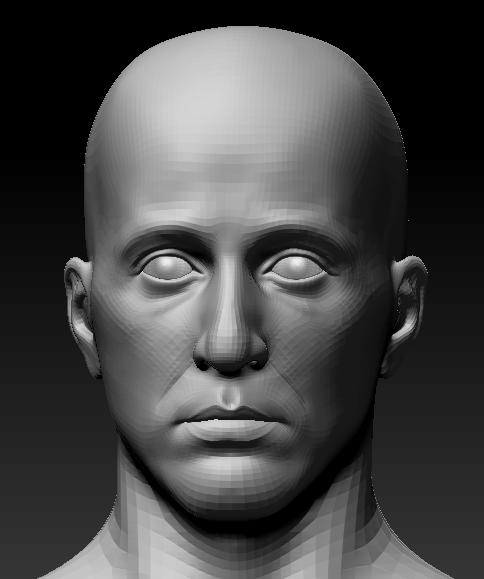 I'm not very good at sculpting and have only attempted a single likeness sculpt, years ago and I was hoping to spend a bit more time on this one and getting something a bit more decent this time.